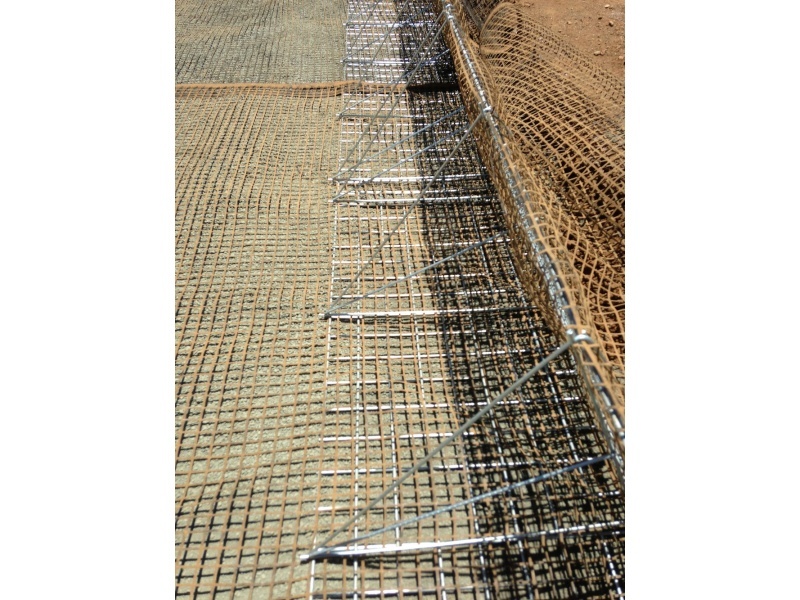 The Terralink® system can incorporate a range of steel mesh facing panels set at an appropriate face angle to aid compaction and installation and can support a large range of erosion protection elements employing either biodegradable Erosion Control Blankets (ECBs) to permanent synthetic Turf Reinforcement Mattings (TRMs) to the use of rock fill inside the facing. 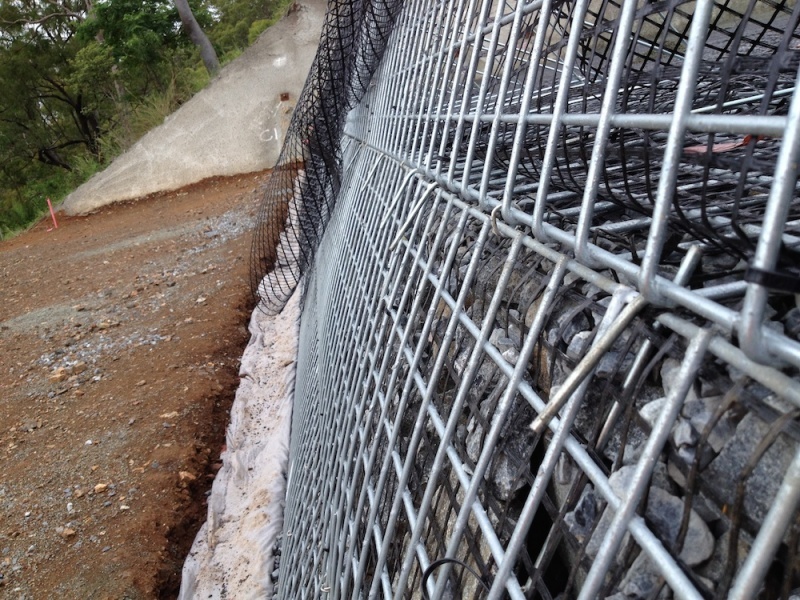 Terralink® provides the necessary long term protection and stability to the face of your structure and assists with the speed of construction and neatness and regularity of the exposed face. 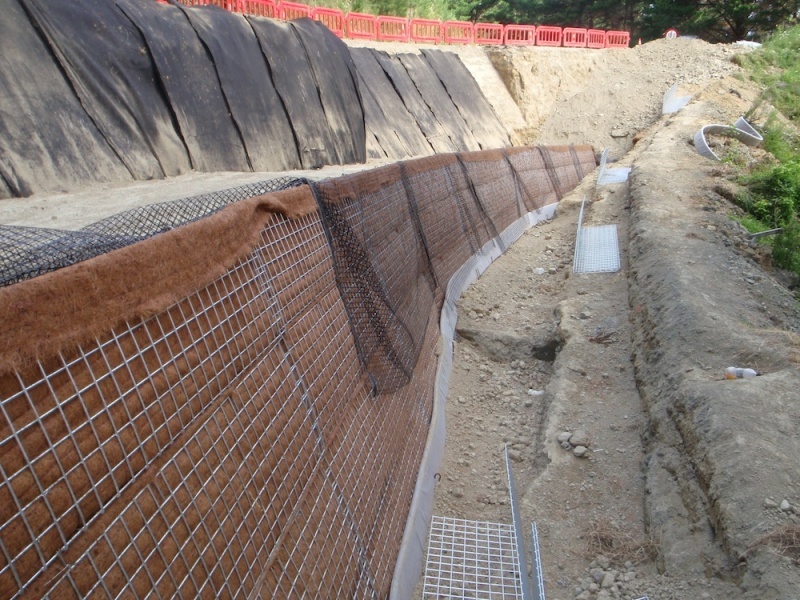 Terralink® structures with face angles up to 45 degrees from the horizontal require minimal protection to the outer facing. 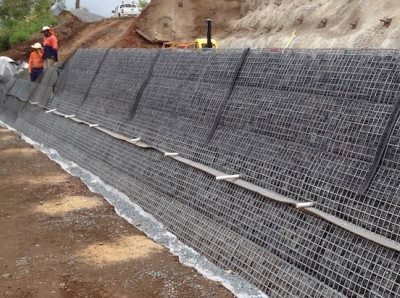 A permanent Turf Reinforcement Matting (TRM) is applied over the face and vegetated. 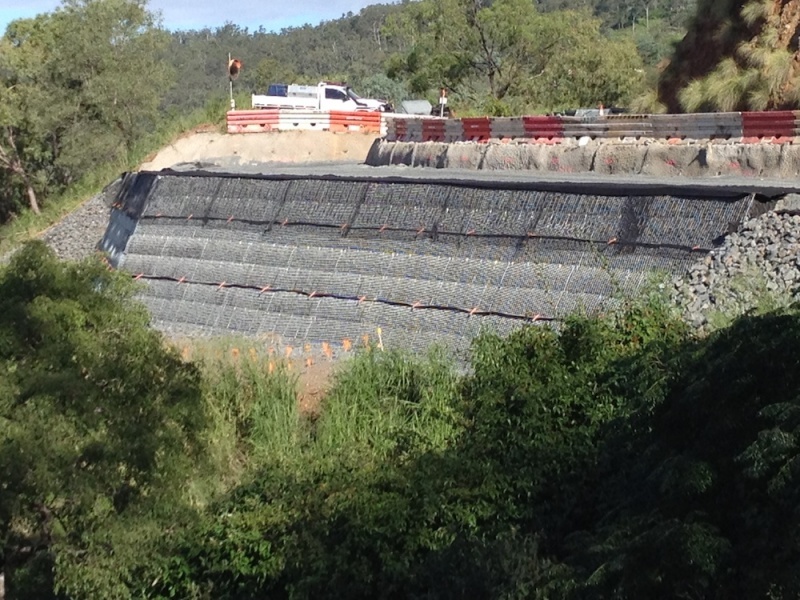 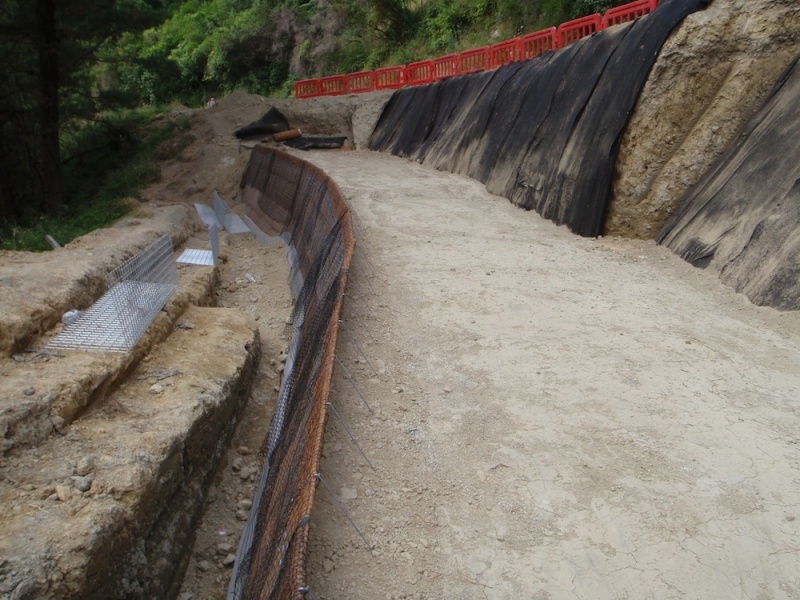 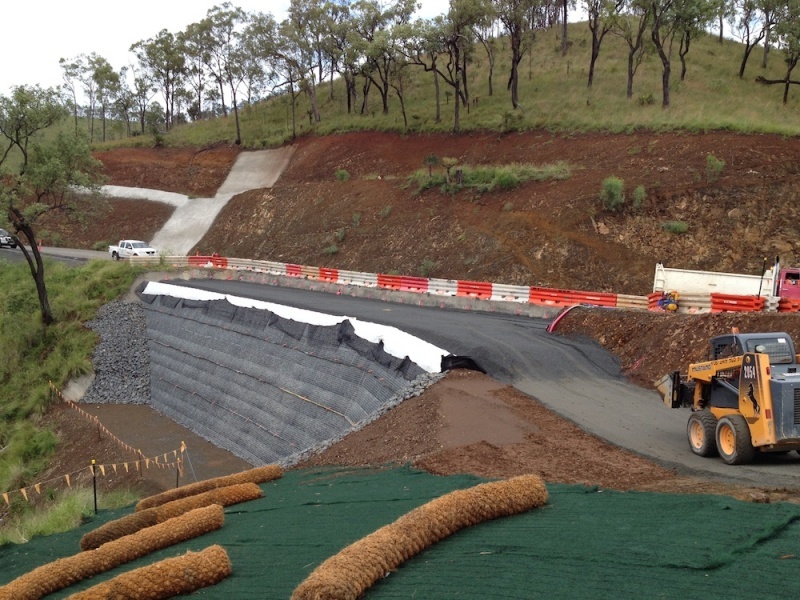 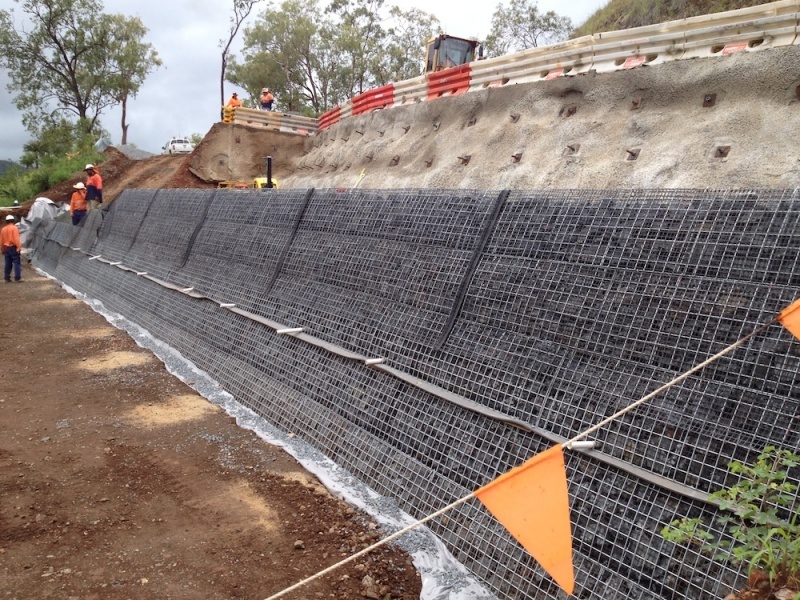 Where an ACEgrid® reinforced soil steepened slope is to be constructed, the Terralink® facing would incorporate Terralink® corrosion protected steel mesh panels folded to the required face angle. 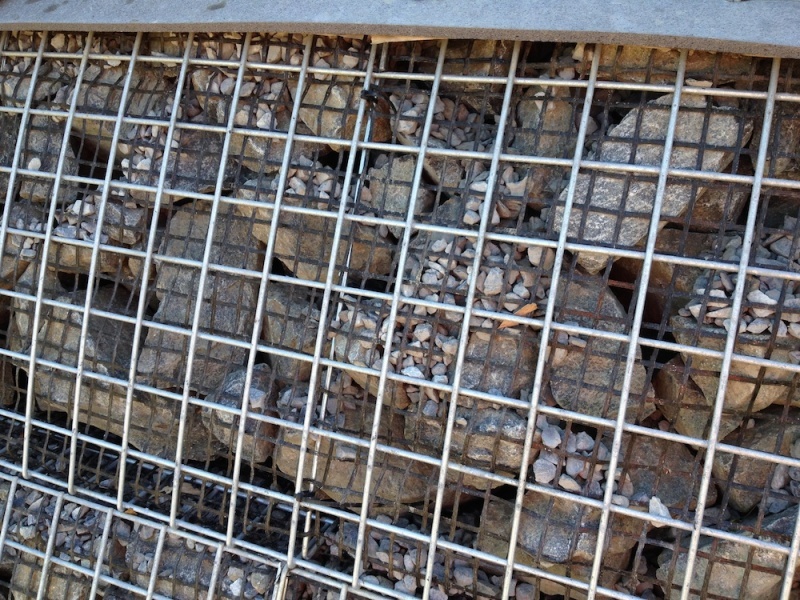 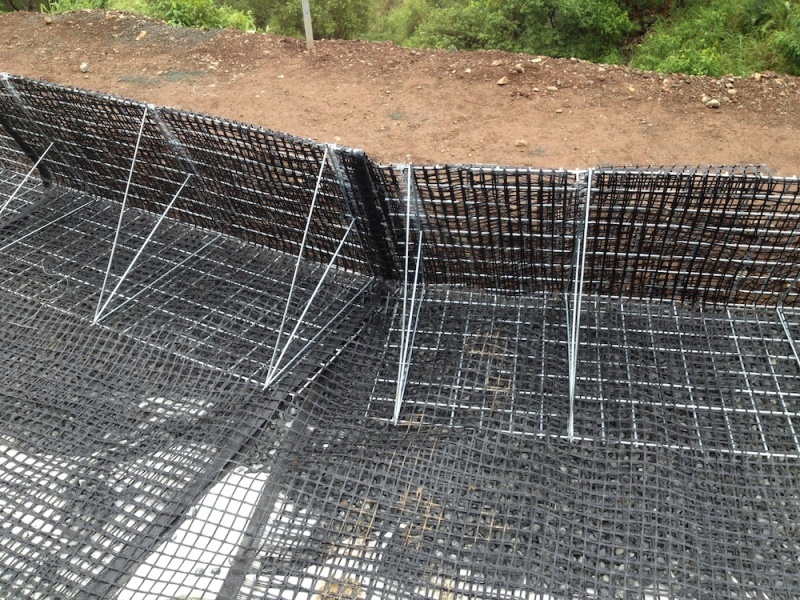 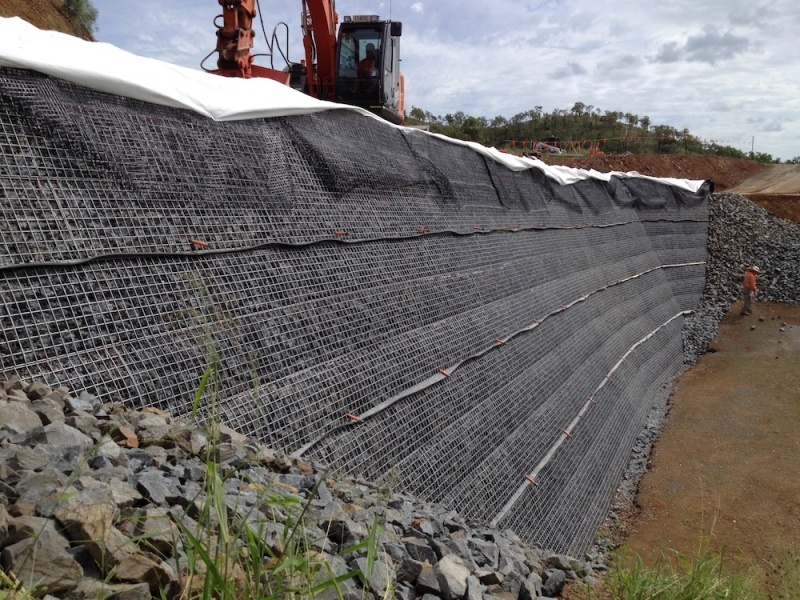 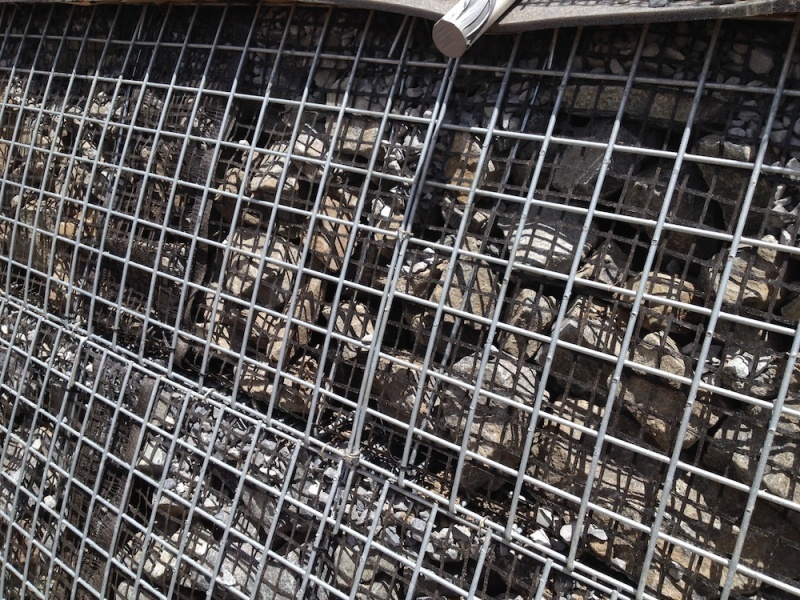 These Terralink® steel mesh panels assist compaction and placement of a suitable TRM or biodegradable Erosion Control Blanket (ECB) inside the face. 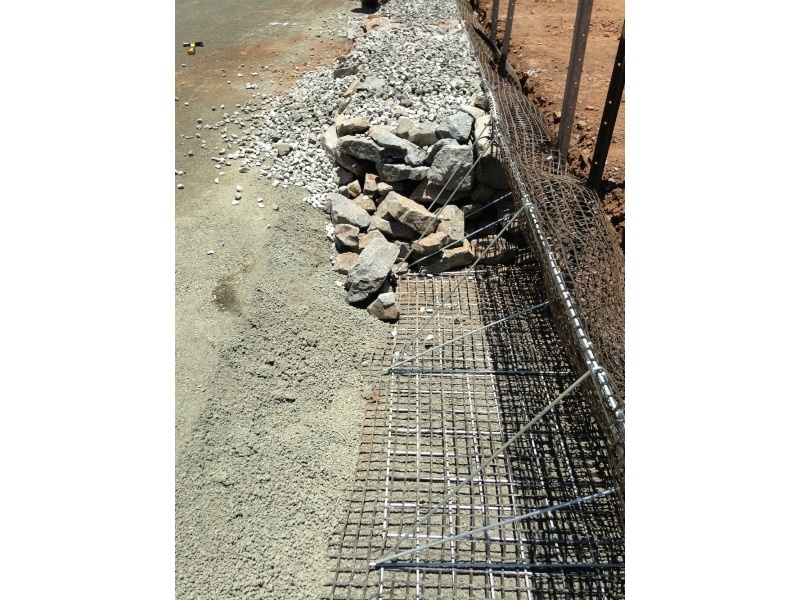 A growing medium is placed inside the TRM or ECB and seeded and maintained until vegetative cover is established. 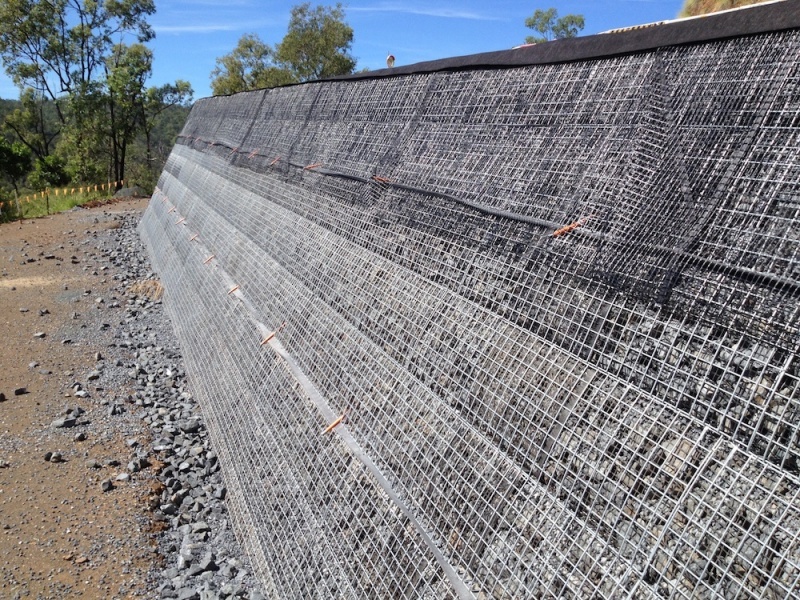 For steeper structures, Terralink® steel mesh panels can be incorporated in the face and backfilled with a growing medium and TRM to protect against erosion and establish vegetative cover or rock may be used inside the steel Terralink® facing panels.